Buy Winflector Windows application server. It allows remote execution of your Windows applications from anywhere around the world. Winflector free application server provides virtualized application execution for 2 concurrent users - download and use now. 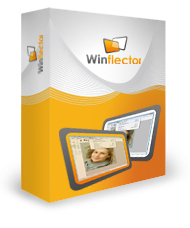 We offer one of the best virtualization software available on the market – Winflector. It allows easy, fast and effective applications sharing over a network, without excessive consumption of computing and network resources. One central application server, on which the programs are executed, gives easy remote access to selected apps through lightweight client available for Linux and Windows. If you are looking for an alternative for Remote Desktop Services (Windows Terminal Services), Citrix XenApp, VNC etc. – Winflector, one of the best low-cost and efficient virtualization software, is for you. Winflector version 3.9.6.7 with the support of non-client area (windows frames) is now released. The version 3.9.6.5 contains the patch which solves filesystem mapping issue caused by Windows 10 December Update.